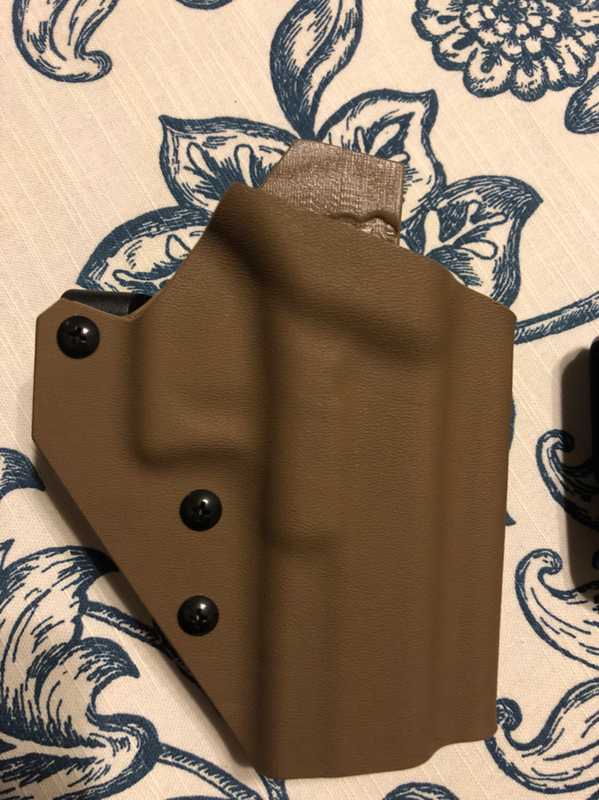 Hey I just wanted to share some of my experience with Kydex holsters so far. First off I want to state that I believe holsters can definitely become a money pit. I’ve only bought 3 so far, but each time I buy one, I learn more about the other ones I already have, so maybe my experience can save some people money. 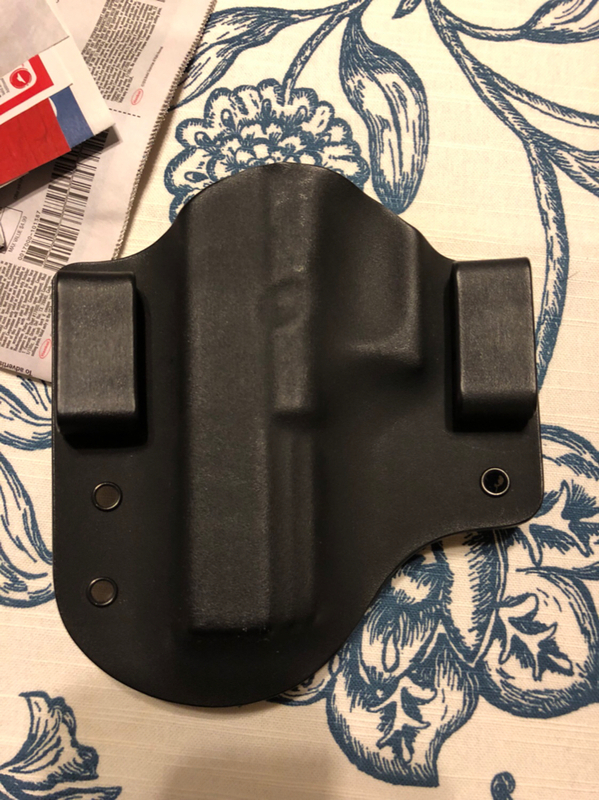 My first Kydex holsters was to replace a Blackhawk serpa holster because of a class I was taking that strictly forbid the use of a serpa. So I looked online and figured Kydex was Kydex, why would I pay $100 for a raven concealment when other no name guys make them from the same material for half as much. 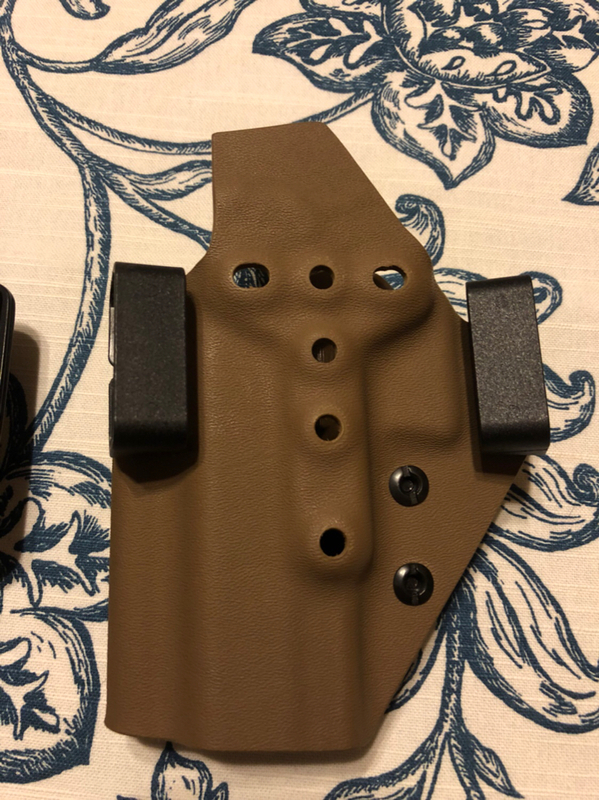 I bought an OWB Kydex holsters for my Glock 21 online for about $40. It feels fine and holds my pistol well. I made it through my class and it still works fine. Later I bought a Glock 17 and had since began following a lot more gun companies on social media. I decided this time to try one from a more known/expensive company and compare products. This next holster cost me about $65. There was a massive difference. First off, the Kydex material is way thicker. It just feels like I here is no way it will ever lose shape. Notice the adjustment screws? Those help you customize the tension of how hard it holds the gun. You’ll also notice the muzzle end is open. This allows usage with h threaded barrels or compensator equipped pistols. Similarly, the top is cut to accommodate a red dot sight. If you don’t have any of these feature on your gun, it will still work fine, but nice and I know it’s capable. 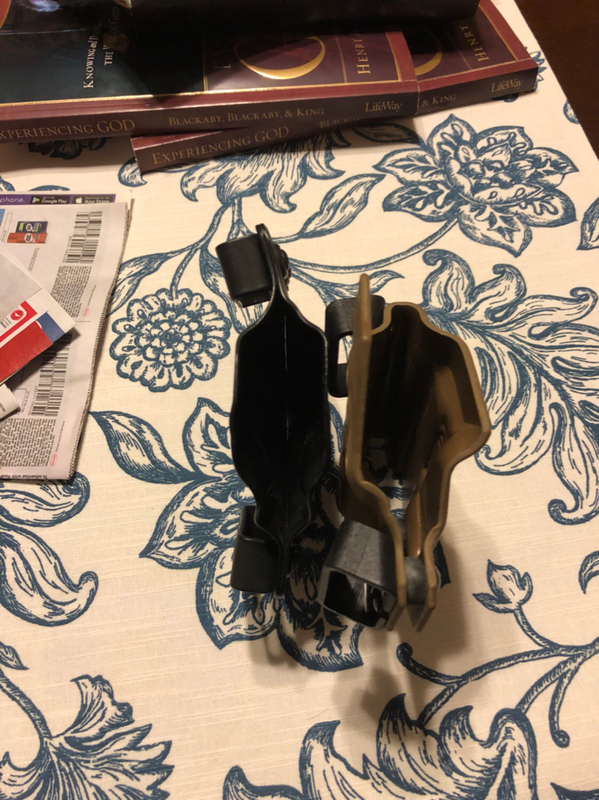 Lastly, no h of these holsters are set up with belt loops, but the brown one has many holes on the back so that you can mount it different ways. 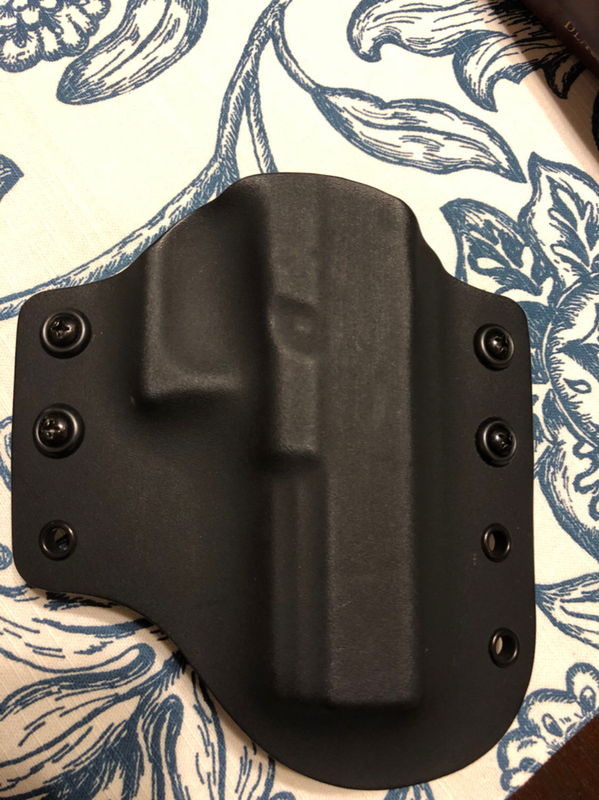 You can attach a Molle adapter, a quick detach plate, a mid ride drop adapter, all these are third party products but this holster is set up to be compatible with them. Check out how much thicker the material on your the brown one is. All holsters have pluses and minuses. Both of these are not really good for ccw. But for what I use them for (securing a full size handgun to the outside of my waist for plinking or competition), there clearly is a quality difference when you spend a bit more.